2) Create a short video of Your Products or Services. Hint: No video experience needed. We do this for every client of ours and we don’t need to tell you that video marketing is growing. Just look at Youtube and you will see videos ranking on Google. Step1: Find Youtube Video Keywords. The key to this is to optimize video for keywords that are ranking on Google, otherwise you will get traffic only from Youtube. To get started with video look no further than https://animoto.com/ which offers 30 sec free video. Once you sign up, you can start creating video that can be uploaded to Youtube directly. You can create transitions, add music, add images, etc. to make your video better. Here is our process that we use for all videos we create. Tip: make your 2 top keywords at the beginning of your title to increase chases of higher ranking in Google. Put your website url at the top. Include your keyword at the first sentence. Even Google needs to see your video and just creating a video is not enough. Time to push your video to the next level. Add video link to your email signature. It is a good strategy to showcase your video to your customers, colleagues, friends and whoever you do business with. Embed your Videos to Your Blog Posts. 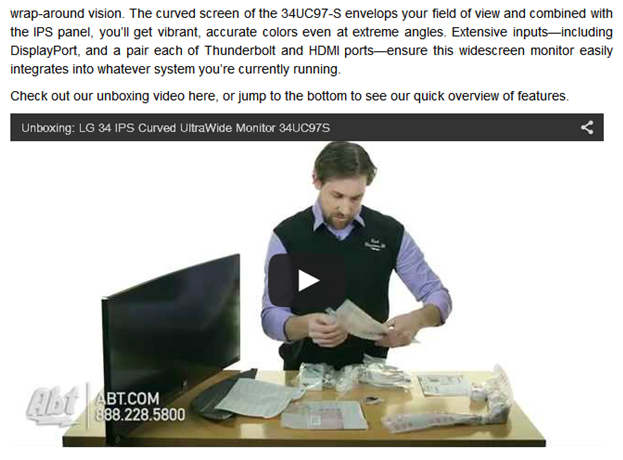 Add video link to your press releases. Once press releases has been published your video link will be embed inside a text area that will link to youtube or your own website. 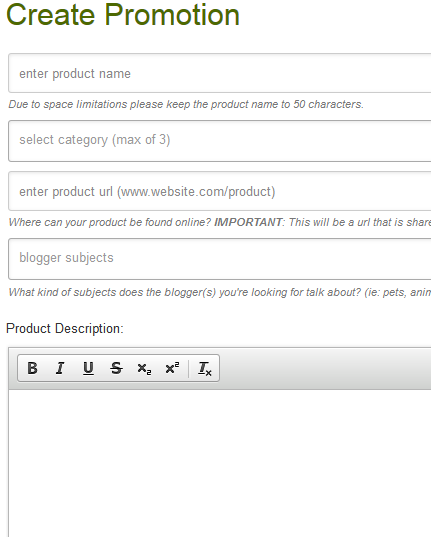 3) Add Long Tail Keywords To Your Products or Services. The title is long, really long. Google recommends using 50-60 characters. A typical search on Google will result in showing the first 50-60 characters, but then you are competing with many businesses. 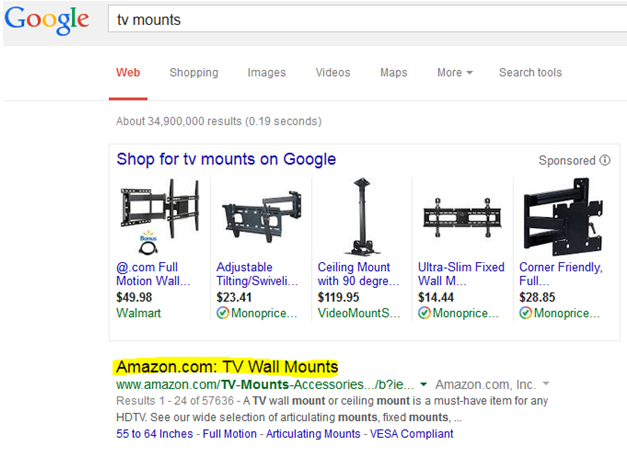 Why not use Amazons approach? Look what happens if you start searching for more specific keyword on Google. 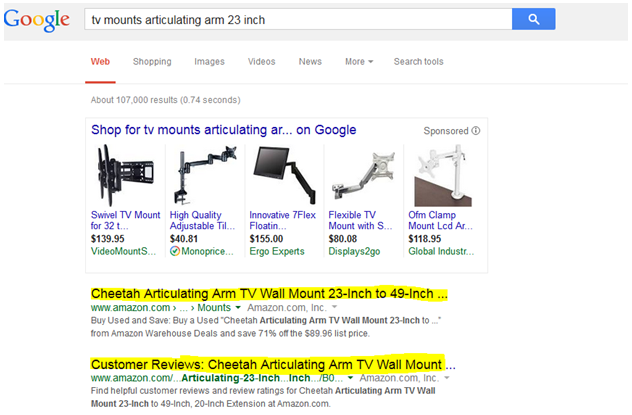 Get customers that are looking for long tail keywords by providing more relevant title for each of your products. 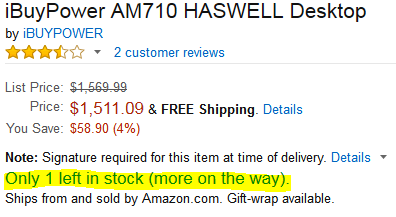 If Amazon can do it, so do you. 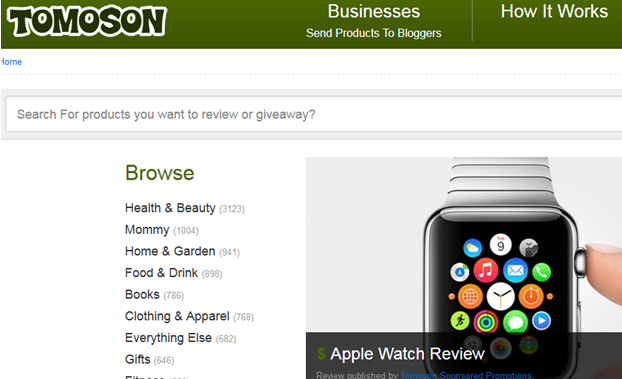 If you run eCommerce website, product reviews are the key to your sales. The process is simple: Send your product to a blogger, get a review and link back to your website. 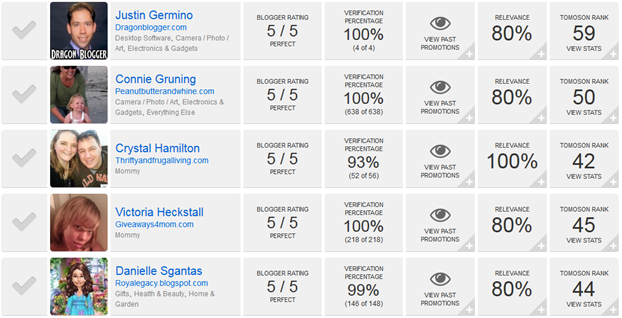 The problem comes to find these bloggers and specifically ones that have a good amount of traffic. 5) Be Better Than Your Competition. Piece of Mind Guaranteed. Compare your business to your competition and learn from what they do that you can include or change. 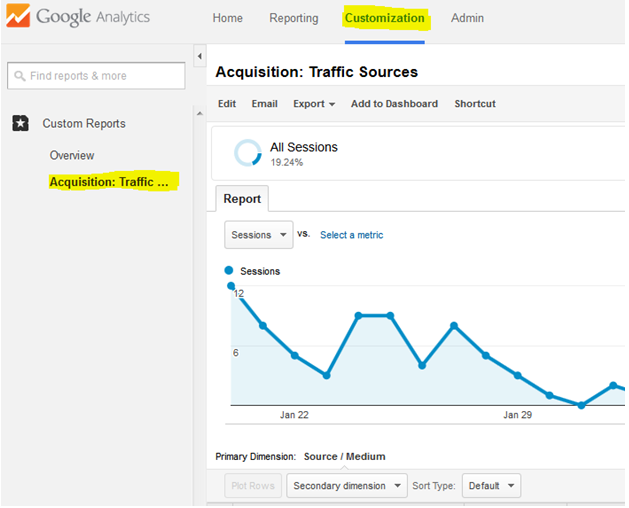 Applying Google Analytics can help you realize your own customers and where to direct your ad bucks. Affinity Categories allow you to look at which audience generates the most revenue and use that information for Remarketing in Adwords. New vs Returning Customers Report shows where exactly you need to add advertising. If your returning visitors are not converting as much, then create incentives for them to buy more. -Social Marketing: Not just a simple post on your Facebook. Combine email marketing with social marketing. 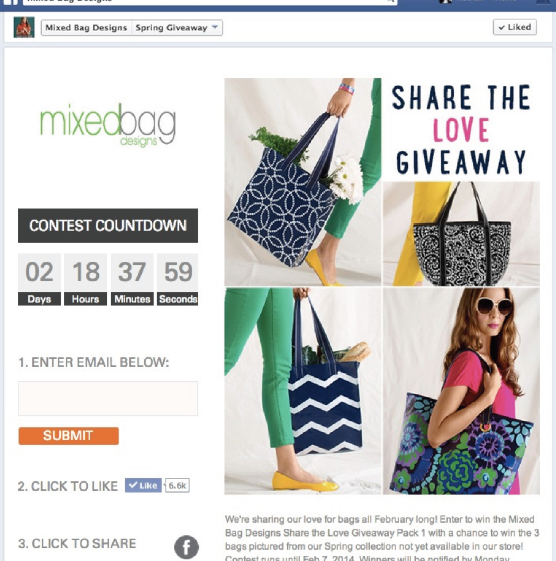 By adding a countdown for a contest you will collect valuable customer information that can be used for email marketing. -Adwords Remarketing / Facebook Remarketing: Set up PPC campaign to remarket to your current visitors once they leave your website. Offer them extra % (percent) off, quicker shipping or a free ebook if you have a service business. 7) Listening To Your Customers. There are WAY too many businesses thinking that “customer does not know anything”. They don’t know how to use the product, they don’t know what to do with it, they can’t find on/off buttons, etc. Listen, read and find your customer issues and learn how they fixed the problem. Than adapt it to your current product line. 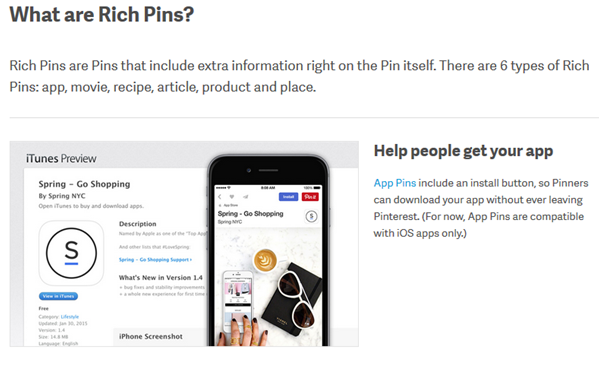 With 70 million users (80% women), 23% of which use it once per day Pinterest is another great tool to increase your sales. Understand Pinterest Culture. 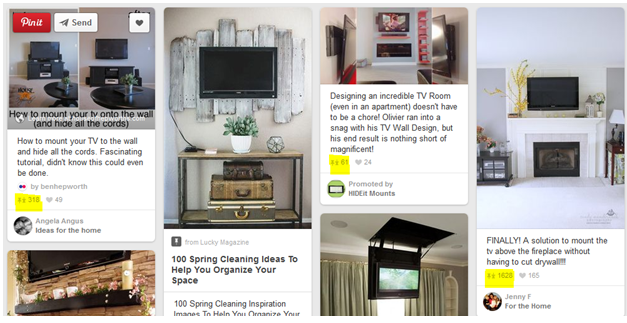 Pinterest offers a way to share images you found online, but it does not work the same way as Facebook or Twitter. Instead, learn and explore what other users are doing and what types of images or pins they have. But what about my “boring” product? 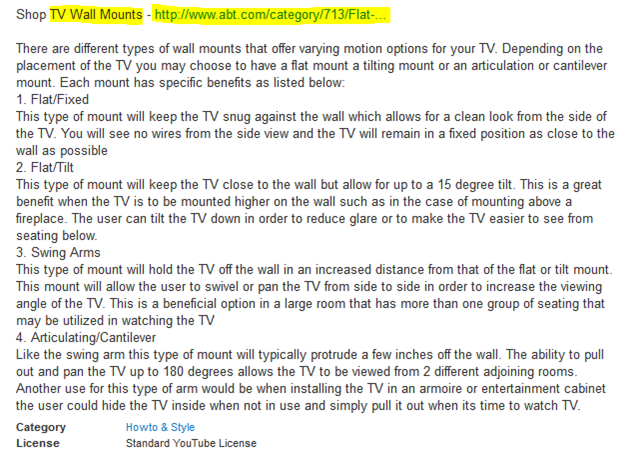 Well, look below, even boring “tv mounts” get repins. Tell people what your company is about, share your testimonials ,add logos , faces of your employees, etc. Customers want to feel like they know your brand and want to connect with you before they buy. 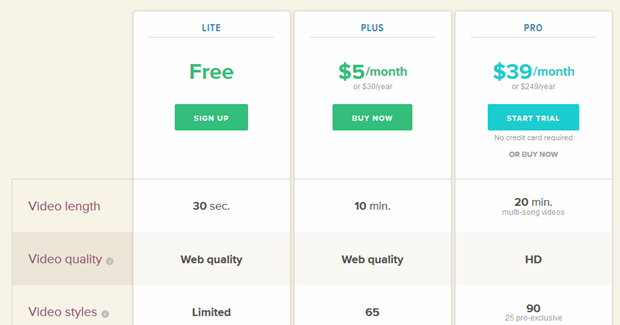 http://usertesting.com – $49 using people as testers. Once you provide instructions, users will submit a feedback. 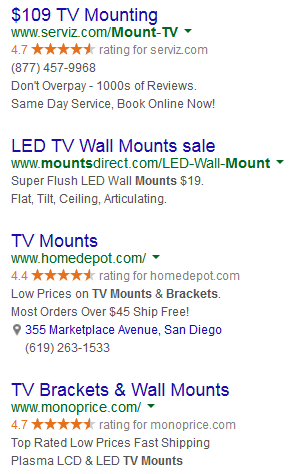 Adwords can help you deliver an offer to your customers via a PPC model. 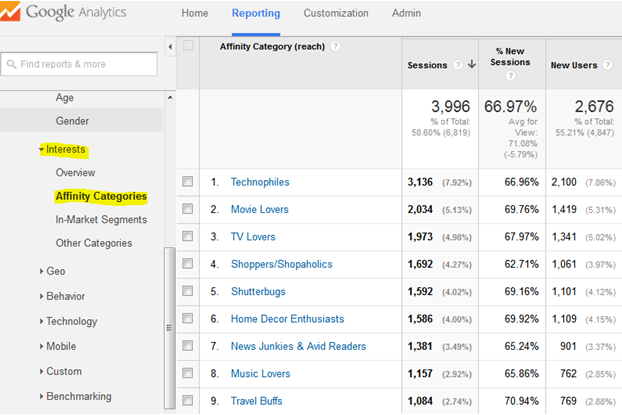 Determine which websites are generating the most traffic via google analytics and advertise directly on those websites. Once you click create button go to Customization and on the left you will have the custom report. Increasing urgency on your website creates quicker response time from your customers. It “urges” them to take certain action in a certain time period. Limited Time. 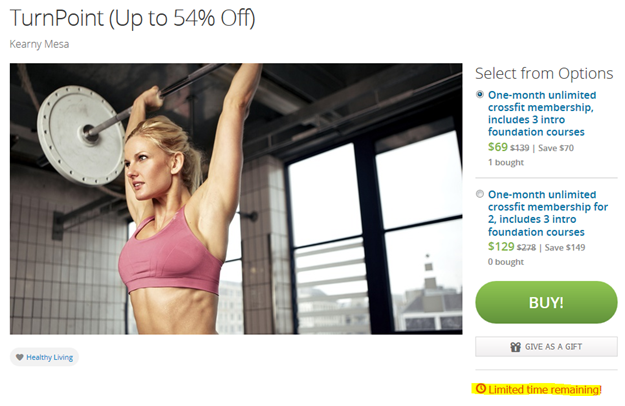 Usually an offer will expire in 24 hour as an example below from Groupon. -Stock Urgency allows customers to react quickly and buy quickly as they would have to wait until the next shipment arrives. -Time countdown is forcing us to take an action and get it fast, because the deal will be gone. One big advantage is the price. 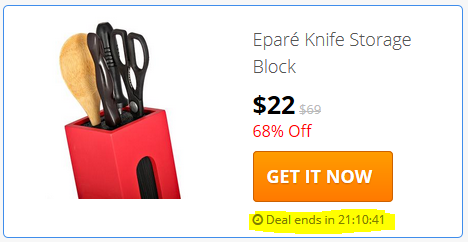 After the countdown is done, price can go back to its original point automatically. A few months ago, Google started to reward sites that are mobile friendly with higher search rankings. No matter what you sell, it is advised that you get your website responsive or you can create another site that is mobile ready. Each day trending topics capture millions of eyeballs. This simple strategy can be applied to your web-copy, product review or a blog you want to write about. Here are 5 simple steps: a) Head over to buzzsumo.com and type in your keyword and click search button. b)Results will be displayed and as you can see, you can easily filter results as needed by left filter menu. c) This result will give you an idea of what topic you can write about and what is trending. 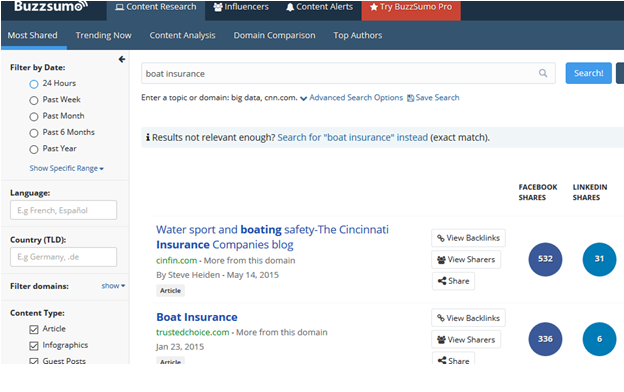 In my example, I have added “boat insurance” as my keyword and now I can make logical choices. d) I can create a topic, for example “Top 10 Boating Safety Tips That Insurance Companies Will Not Tell You About” or “Follow These Boating Safety Tips For A Better Insurance Rate”. e) Next, click on the actual link and read the article to get an idea of your new content. f) Here is another useful tip. Head over to https://www.seologies.com . This tool will help you analyze keywords from the most important to least that you can use while writing any type of content. 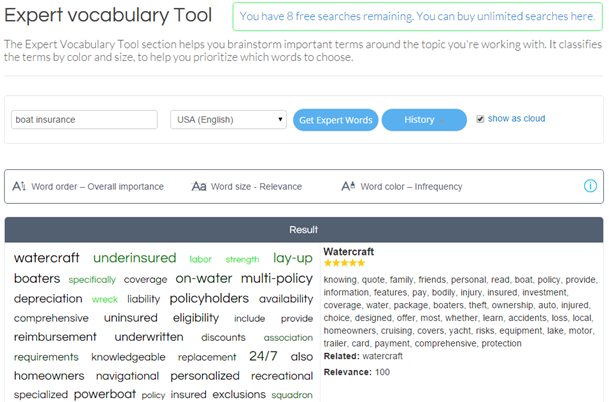 In my example, I was searching for “boat insurance” and I can see that the top keyword that most top sites use is “watercraft”, “underinsured”..etc. Now I can include those keywords in my text. Look at it from your perspective. If you walk into a business, you may have many questions, from what is the cost of shipping, does a product have guarantee?, etc.. Same will apply to your customers. They want to know quickly what they can expect. Some will take time to research information they are looking for and some will leave as they are confused, frustrated or just lazy to do anything. More customer volume – Since customers that were about to leave that could not find what they were looking for now, have a chance to chat with a live rep. If you did not have a live chat, those customers would leave. Better Service – Your timely customer service rep. can easily answer all the questions and help customer navigate your website. One on One Attention – This is where customers feel like you care about them, their needs/wants. Imagine if you could simply find a software or tool that can publish post to your social accounts without you doing anything, not even typing the messages. 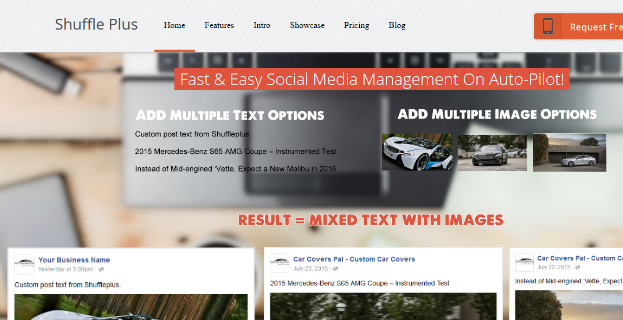 ShufflePus offers this type of post messaging management via their tool. Simply select a category, mix with images and you are set. Now you will have a great looking post that will have a text and an image included. Not enough? Than add RSS feeds, simple text messages that are written by ShufflePlus. I have been there personally. I submit a post on Facebook, Twitter and expect tons of traffic. But, that’s not always happening, especially if you have a small business. a) Add image sharing to your website – Does your website have images? Than let users share them on social media. With this free plugin http://sumome.com/ you can easily tag images and let customers share them. b) Add META data – This is big. This part is forgotten on many levels and it is necessary to submit. Use this tool http://smo.knowem.com/, add your website url and look and correct errors per each page. d) Social plugins – For any type of website from wordpress to magento you can easily find social sharing pluging for customers to share your blog content. We hope you find this information informative. Now we would like to hear from you. What findings did (or didn’t) surprise you? Or maybe you have a question about something from our study. Contact us below.